NBA champion and MVP Lebron James is slated to visit the country of the Philippines on September 8, 2016. James will be the hosted Nike's event ‘Battle the Doubt Challenge’. 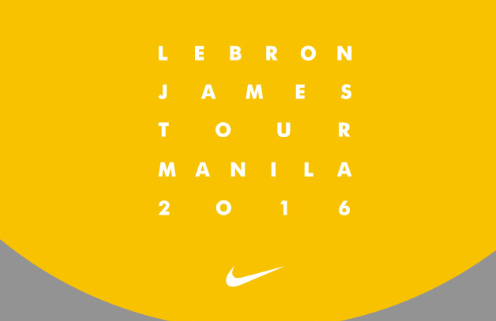 To participate in the LeBron James Tour Manila 2016, tell us about your personal basketball story of doubt that you are battling. Click Join Now and follow the instructions provided after your registration. A one-day basketball camp featuring professional Nike coaches and athletes designed to address your biggest doubts on-court. An evening of inspiration featuring Lebron and some of the best basketball players in the Philippines to help Filipinos battle their doubt.